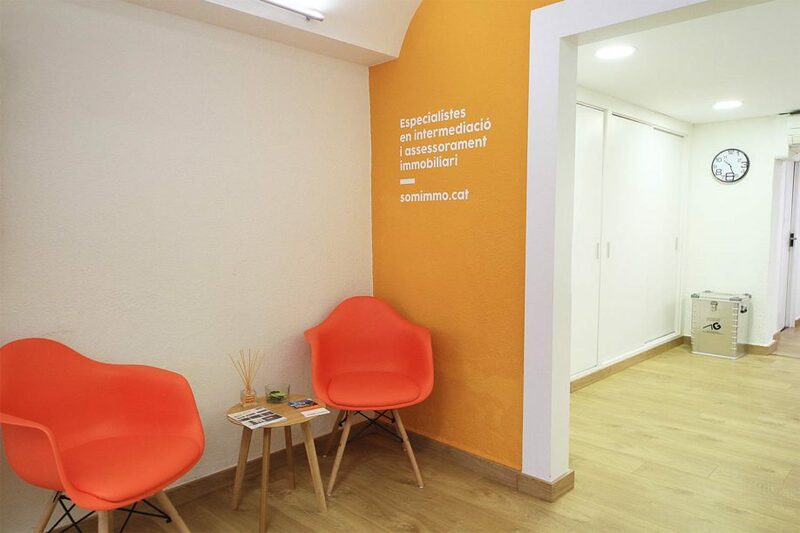 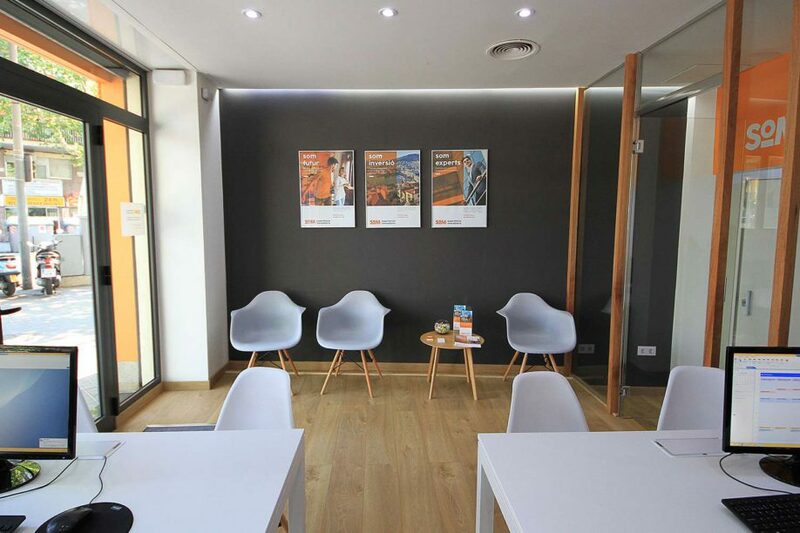 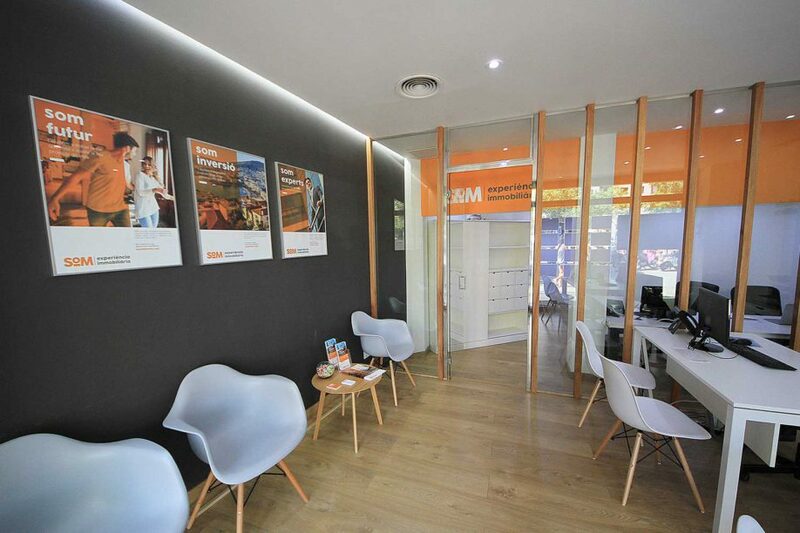 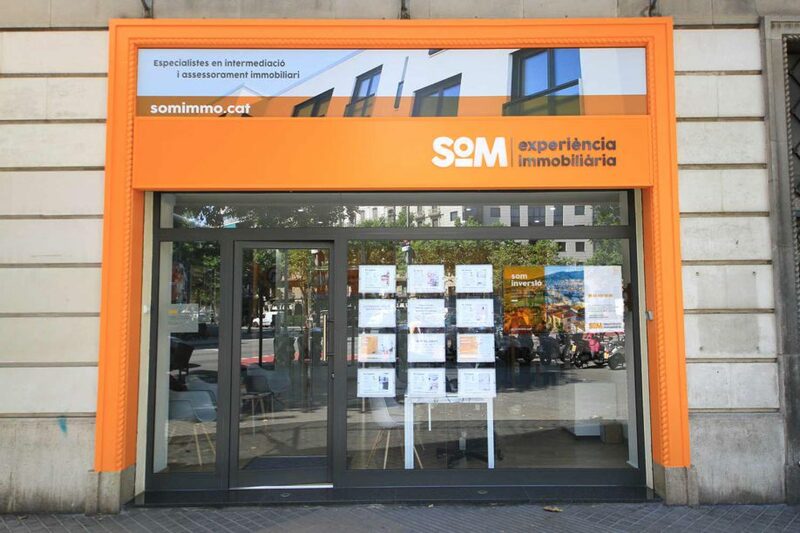 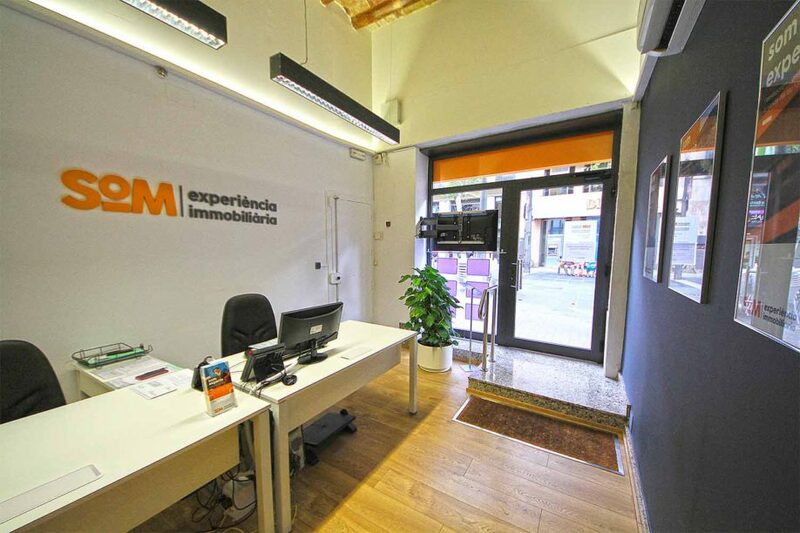 Offices of the real estate company “SOM Experiència Immobiliaria” in which according to the brand strategy has been strengthened at the level of presence through the elegant corporate orange color, which coexists the white and that combines perfectly with the other corporate color, the dark gray. 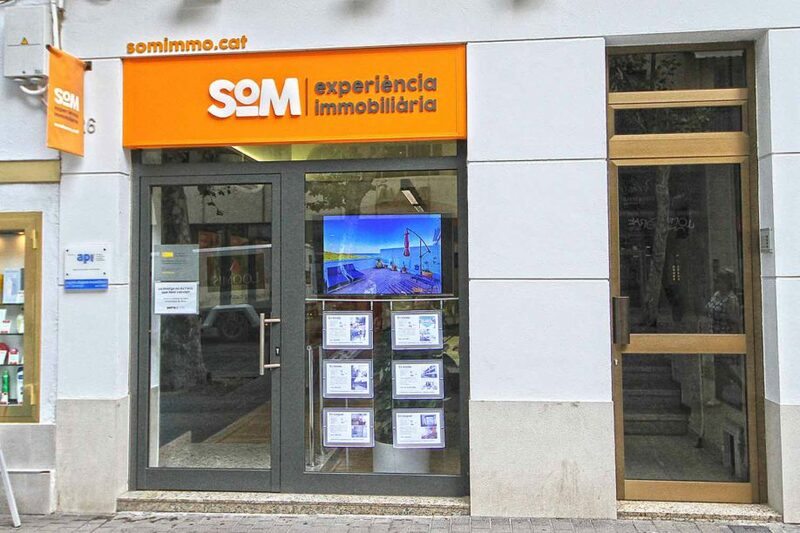 To the chromatic application we add the strength of highly studied images in which are reflected the concepts that constitute the “SOM” services, such as future, experience, investment… These images are accompanied by messages and are applied in the offices by means of posters and signage on the walls. 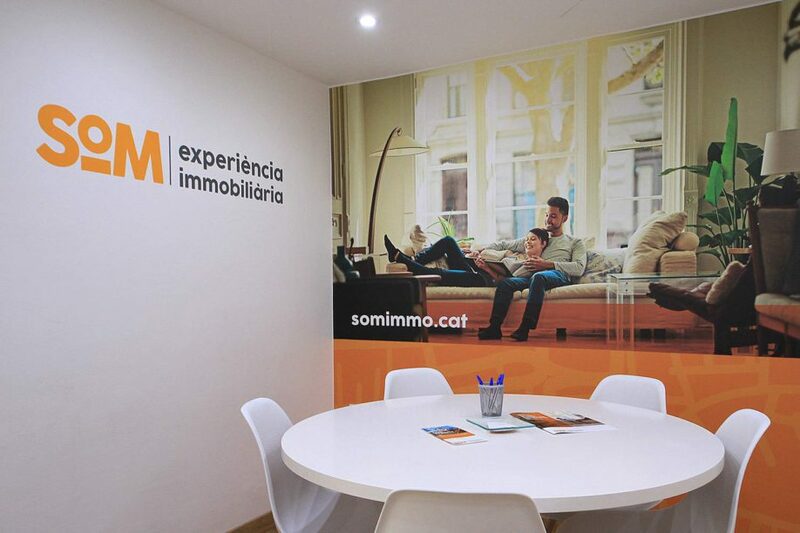 The brand logo is also shown on the walls of the offices. 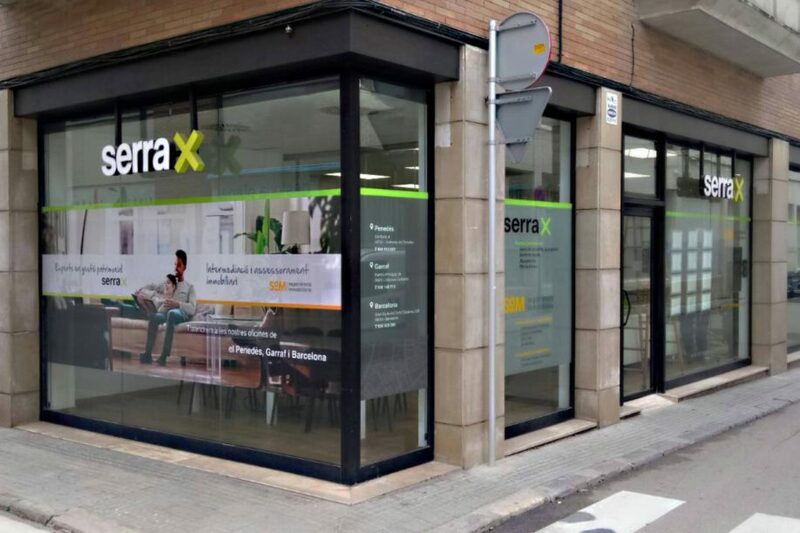 On the windows, optic led posters have been placed as well as a 50 inches television which shows the selection of buildings, messages and announcements that the client wants. 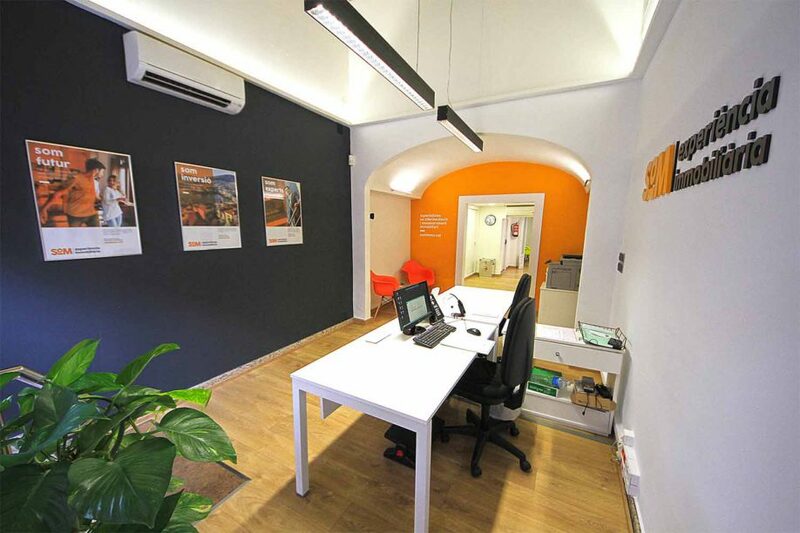 This can be programmed through an app that we have developed for this project.